On July 17, 1946, sixty-two years ago, the life of General Draza Mihailovich came to an end. Why should we care? Why did his life and death matter? He was a military officer who lived at a time in history when his dedication to democratic ideals would bring him into conflict with the fascists, the Nazis and, in the end, the communists. 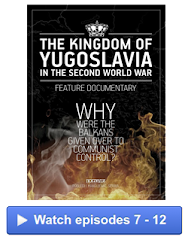 It would be the communists who would finally silence him, but not before he and his people fought valiantly to prevent his country, Yugoslavia, from falling into communist hands after the war. It would be too easy to blame the dictatorships, however, for the tragic stories of World War Two. Unfortunately, some of the great democracies of our time are culpable not only in helping to catapult three terrorists to the top in their respective countries - Hitler in Germany, Mussolini in Italy, and Tito in Yugoslavia - but in undermining and sacrificing those who fought against them. Huge mistakes were made before the war ever began. The dictators could never have prevailed to the extent that they did on their own. This is one of the uncomfortable realities that makes the study of history unsettling. Accountability always withstands the test of time, and hindsight, when honest, will reveal more than we were ever willing to acknowledge at the time. The failure of France to counter Hitler’s advances in the 1930’s when her military strength would have easily enabled her to do so was one huge mistake. How the British Establishment mishandled the events of the inter-war years was an even more crucial mistake. As a result of the mishandling of crucial moments and events during that period of peace in the 1920s and 1930s, the democracies would embolden the monsters of history and it would be the democracies, the Allies, who would feed General Mihailovich to them. He would inherit the dishonorable mistakes made by the democratic Allies, though he would remain loyal to the Allies to the end. That was the kind of ally he was. That was the kind of man that he was. Minding this caveat would be especially important in searching for answers to questions about the history of the Balkans during the Second World War. This would become the tone of British foreign policy during the critical decades of the 1920s and 1930s. Churchill’s suggested “objective” would lead first to appeasement and then to a war for which the British were as responsible as the Germans were, not because they wanted it or started it, but because the British did not prevent it when they could have. Hitler did not rise up out of the ashes of the First World War overnight. His ascendance was gradual and methodical. He would watch and wait for reaction from the great democracies to every move he made, and the lack of reaction would puzzle him as much as it amused him. He knew well where Germany’s vulnerabilities were. He also came to know where the democracies were vulnerable, and they would prove over and over again that the growing dictators of Europe could pursue their goals with impunity. It would be beyond the scope of this work to show step by step how and why Hitler was able to take Europe to an abyss. Suffice to say, the British and French together had many opportunities to stop Mussolini and Hitler. Some Germans made far greater sacrifices in an effort to stop Hitler’s ascension than did the British or French leaders during the 1920s or 1930s. These Germans could have succeeded had they had the support they deserved. For the British, the key theme of “Germany as the moral bulwark against the Bolshevism of Russia” was the primary foundation of their foreign policy and remained so until the war started. Hitler would exploit this theme to his fullest advantage. While, at the beginning, supporting Germany as a bulwark against the so-called “barbarians from the East” was a factor in Britain’s goal to maintain the balance of power in Europe in her favor, it eventually became the core of the appeasement of Hitler. Though it was Britain’s leader Neville Chamberlain who became the personification of appeasement, another dictator would become the benefactor of Britain’s compulsion to appease. This time, ironically, it would be a “barbarian from the East”, the leader of Soviet Bolshevism, Stalin, and the appeaser would be Chamberlain’s successor, Winston Churchill, the man who had once feared Bolshevism’s encroachment to the point of being willing to support the devil to prevent it. Yet another benefactor of Churchill’s appeasement policy would be Marshal Tito, leader of the partisans in Yugoslavia, another communist. So much for moral bulwarks against communism. The communist benefactors of British appeasement would continue where Hitler left off. Millions of lives were lost as a result of the consequences of appeasement, among them that of General Draza Mihailovich who was used, abandoned, betrayed and ultimately sacrificed by the democracies, the Allies, for the ends to be served. It seems that no conflict has been so much written about as the Second World War, and yet probably no other corps of writing has done more to distort popular conception of what actually happened. Importance is sometimes assigned to relatively insignificant things, while truly significant events are either diminished or ignored. Too often, the leadership, especially if it was popularly revered, was not held accountable to the degree that it should have been. The main concern of any true democratic leader of that time should have been first how to stop the impending war from happening, and if all efforts to that end failed, to at least have done whatever possible to prevent it from escalating and to minimize the cost in human lives. General Mihailovich was a great protagonist of such efforts. He would remain so for the duration of WWII, while other “democratic” leaders and officers were not so concerned about human cost. The horrors reflected in the deaths of over fifty million people during WWII indicate that the regard for human life was not the number one priority for many of the military or civilian leaders. The fact that civilian deaths accounted for at least 50 percent or more of the total death toll of the war is testimony to the fact that human barbarism, even in the “civilized” 20th Century, knew no bounds. That is why each significant episode in the progression of history must be evaluated and judged by, amongst other things, the cost in human lives and how many people could have been saved had their leaders made different choices and taken different actions. Regardless of the benefit of hindsight after the fact, there is foresight also. Not only was foresight lacking in the 1920s and 1930s, it was ignored for the sake of political expediency. Hitler could have been stopped before September 1, 1939 and even afterwards. And he knew it. If one wanted to study and establish a sound theory as to how to prevent another catastrophy such as World War Two, it would be more important to study the pre-war events that led up to it rather than to study the war itself. Hitler became a successful “protagonist of war” because the “protagonists of peace” bungled their steps one after another, supposedly all in the attempt to prevent another war. When Winston Churchill wrote that Germany should be propped up as a moral bulwark against Russia’s Bolshevism, it was just two years after the First World War ended and just a year after the Versailles Peace Treaty that was to guarantee that Germany couldn’t start another war was signed. This historic treaty, the document that was to ensure that there would never be another scourge on humanity such as the First World War, would, piece by piece, be undermined by the very democracies that had drafted it with such noble intent. Although the conditions imposed by the treaty were, and remain, controversial, Nazi Germany would proceed to prove to the world that treaties meant nothing, punishments were meaningless, and that consequences were of no consequence. She would do this because the great European democracies would sabotage the intended noble legacy of Versailles. Why were there no pre-emptive actions against Hitler and his plans by England and France, when England and France could have crushed him? France, to her credit, considered standing up to Hitler in the 1930s while he was still in his dictatorial infancy, however, though her economy and her military was mighty at the time, her fortitude was not. She would defer to Great Britain on matters of defense and offense and this would be to her great misfortune. The Rhineland episode of 1936 was just a portent of things to come in 1940 for France. She deferred to Great Britain when she shouldn’t have and it would cost her dearly. As the two great democratic powers of Europe in the 1920s and 1930s, France and England failed. They failed to preserve the heritage and legacy of peace for which millions of good men had died during World War One. They had the means. Hitler knew this, and no one was probably more bewildered and amused than he that these means were not used against him as he tested the waters of Europe. Draza Mihailovich of Serbia had the foresight to see what was coming. He understood that appeasement only lead to disaster for the appeasers and victory for the appeased. His would be a dishonorable inheritance of the mistakes made by the very Allies to whom he would pledge his undying loyalty. He was not the only one who had foresight. Unlike others, he would survive to be an active participant in the preventable war that would eventually become inevitable due to grave human error in judgment. Unlike those that would eventually come to betray him, he would not survive the peace that would follow the war. One of the smart men of Europe who was trying to organize a front against Hitler early enough when it was still possible was French foreign minister Louis Barthou in the early 1930s. His foreign policy was to create an anti-Hitler defense ring, to be achieved by what was known as the Eastern Pact, binding the Soviet Union, Poland, and the Little Entente (Czechoslovakia, Yugoslavia and Romania) to France. But while he was trying to organize a defense against German territorial expansions three months after he became foreign minister, the British were going in the opposite direction. In May of 1934 the British minister of foreign affairs, Sir John Simon, insisted that Germany should be permitted to rearm even though re-armament was expressly forbidden by the Versailles Peace Treaty. This was just one of the “allowances” the British were willing to extend to the Germans during the critical decade of the 1930s. Barthou went to Belgrade, Serbia at the end of June 1934 for successful introductory talks regarding a Franco-Yugoslav alliance, and it was agreed that King Alexander would pay a two week state visit to France starting on October 9th to lay the groundwork for an anti-Hitler alliance. French support against the terrorist activities of the Croatian separatists and their sponsor, the fascist dictator of Italy Mussolini, was also going to be negotiated. But as soon as Alexander’s planned visit to France was announced, Mussolini began working with his own Italian Military Intelligence Service and the Croat and Macedonian terrorists to plan King Alexander’s assassination. 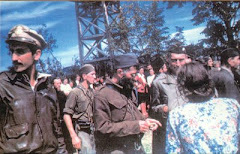 The plan for the assassination was finalized by Vancha Mihailov, the leader of Macedonian terrorists and Ante Pavelic, the leader of the Croatian terrorists. On October 9, 1934 the terrorists made their move and succeeded. King Alexander of Yugoslavia and Jean Louis Barthou were assassinated in Marseilles, France. This assassination, though it was never given the attention or assigned the significance that Gavrilo Princip’s assassination of Archduke Franz Ferdinand in 1914 was, turned out to be pivotal. Alexander’s death in 1934 was a direct precursor to the events of 1939. With the Franco-Yugoslav bond now weakened with his and Barthou’s deaths, Germany would tighten her economic hold in the Balkans. This would further augment Hitler’s growing confidence, and the Balkans would provide more resources for Nazi Germany. It is said that Hitler watched the film that was taken of the assassination that day and upon observing the panic of the crowd and the inability of the police to deal with it effectively, he was reassured that France was weak and that she could be beaten. Whether he watched the film or not, there is no question that he grew more confident. Every subsequent action he would take in the following years would reflect a hubris that only grew with the parallel incompetence of the democracies to stop it from manifesting. 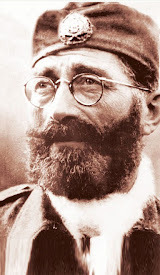 When Hitler marched his troops into Yugoslavia in 1941 after already conquering 17 countries, Draza Mihailovich and his Serbs began a historic resistance opposing the Nazis and their collaborators. The British, though lauding his uprising and celebrating him as a hero against tyranny at the beginning and promising him support, soon began pursuing their new policy of appeasing Stalin, the leader of the Soviet Bolshevism that they had supposedly so dreaded just years before. 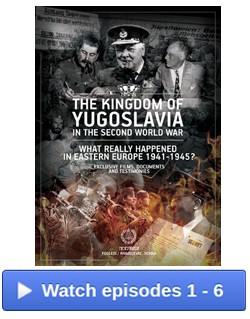 As a result, the course of history in Yugoslavia changed drastically. 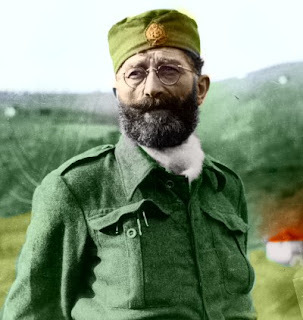 Soon, Mihailovich was fighting not only the occupying Nazis, but he was forced to fight the internal enemy as well, the Yugoslav communists, who were now being sponsored by the British as well as by the Soviets. It was not the Soviets or the Nazis from whom he had the most to fear, however. It would be his betrayal by the British, the Allies to whom he remained loyal and dedicated, that would seal his fate. 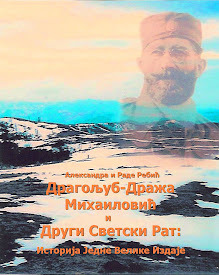 It is in the progression of appeasements, miscalculations, and ultimate betrayals by the great democratic leadership of Europe where the foundation of the death of General Draza Mihailovich on July 17, 1946 lies. Why is that important? 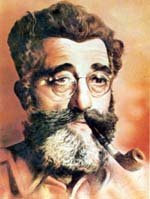 Because his life counted at a time when democratic Europe was abysmally short of heroic men with foresight who understood the true nature of the enemy and her intentions, and he was a man who fought nobly, despite tremendous odds, for the very same democratic ideals that the democracies were so willing to sacrifice for expediency. 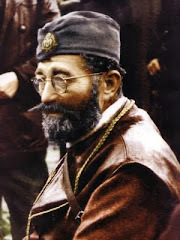 He has been dead for sixty-two years but remains an inspiration for millions of people, not just the Serbs. 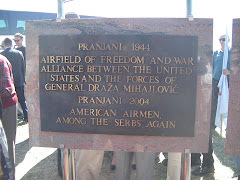 General Draza Mihailovich was an honorable and principled man who had a great vision for his homeland of Serbia and for Yugoslavia as a democratic country that embodied the great democratic ideals that had fostered great men and nations on the world stage. His vision would die with him. Evil men ended his life on earth in a brutal way. They hid his grave, knowing full well that if its location were to become known, it would become a shrine where tens of thousands would come every year to reflect on what great men are capable of and why the ideals they fought for must be carried on by future generations. They would come also to reflect on what might have been had the man to whom they were paying their respects been allowed to live out the normal length of his life. 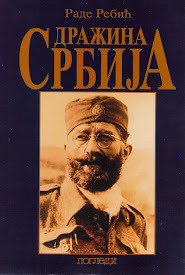 These evil men took not only Draza’s life, but they compromised the greatness Serbia had achieved during the First World War, when she was respected by all. They and their minions wrote book after book falsifying history in order to justify their acts. That is why we must be very discerning when we turn to “history” for answers as to why it all happened the way that it did and what it means for the future. 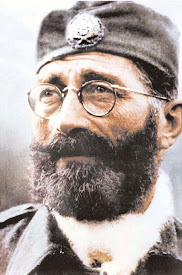 "Twenty years after the death of Draza Mihailovic he is undimmed in his glory as a defender of liberty against the fascist terror, who defended it also against the communist terror. He had no moment of weakness, or of bitterness. I know of no instance where he reproached those who were guilty of his betrayal. 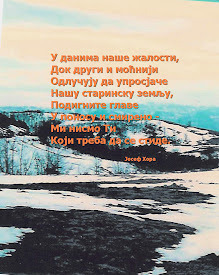 I loved your nation of Serbia before the war. I have loved and honoured it more and more as the years have gone by and I have seen that the hero whom you gave to history has not his like in our time. " Will we ever have another like him? Do we deserve another like him? And if we should receive another like the good General, will we be smart enough to appreciate the gift?